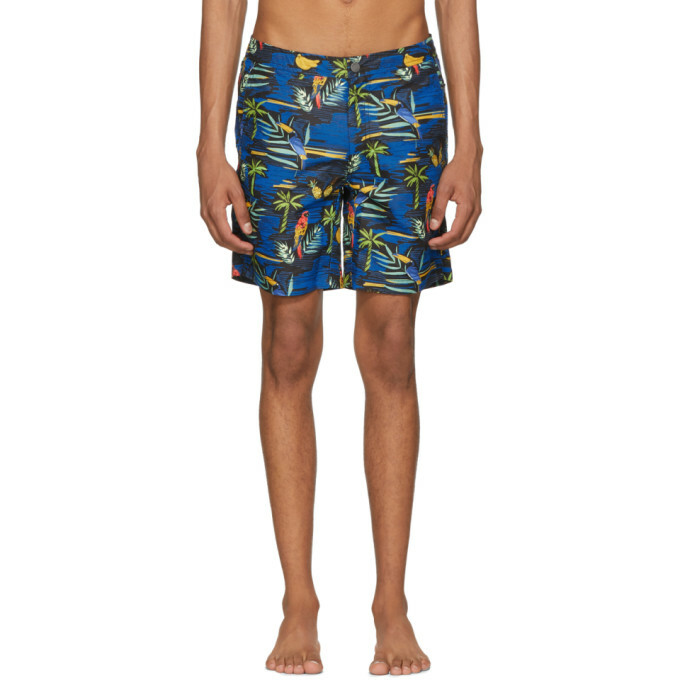 Technical satin swim shorts in black featuring multicolor graphic pattern printed throughout. Mid-rise. Three-pocket styling. Concealed drawstring at waistband. Stretch mesh lining. Zip-fly. Gunmetal-tone hardware. Tonal stitching. 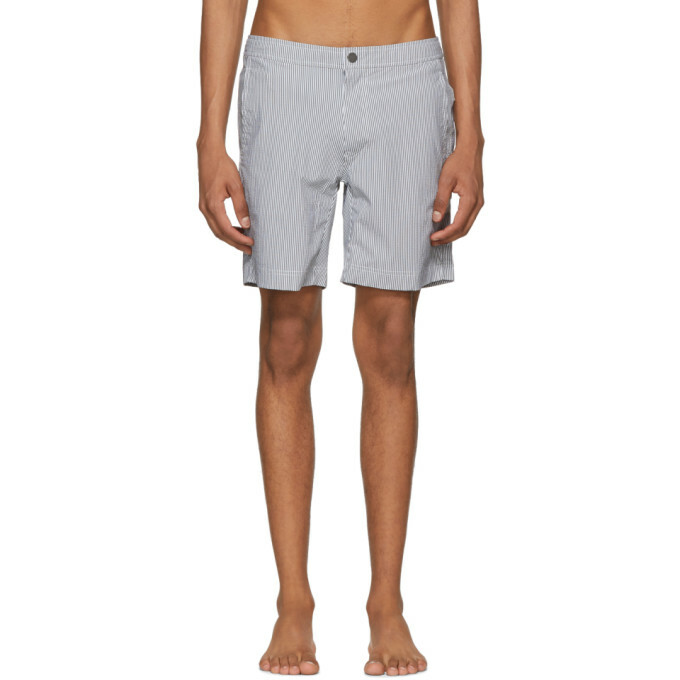 Stretch nylon shorts striped in 'deep sage' grey and white. Mid-rise. Three-pocket styling. Concealed drawstring at waistband. Stretch mesh lining. Zip-fly. Gunmetal-tone hardware. Tonal stitching. 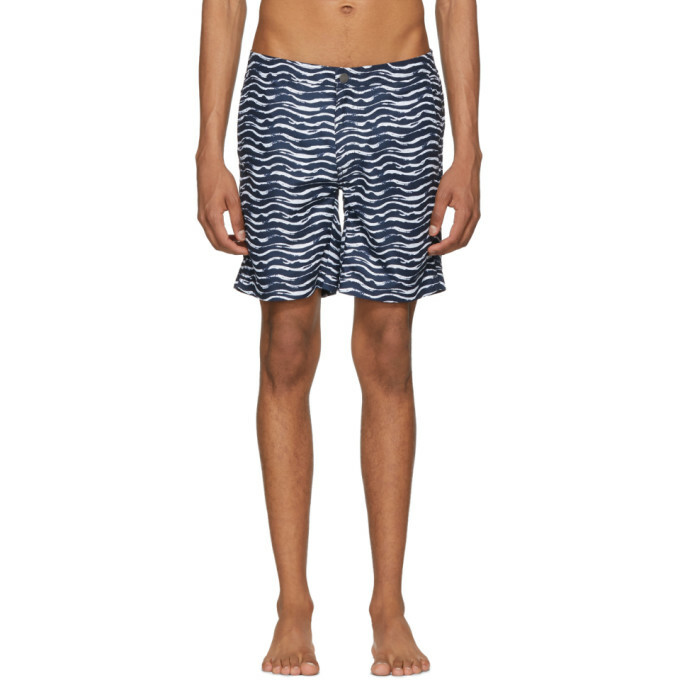 Technical satin swim shorts featuring graphic pattern printed in 'deep' navy and white throughout. Mid-rise. Three-pocket styling. Concealed drawstring at waistband. Stretch mesh lining. Zip-fly. Gunmetal-tone hardware. Tonal stitching. 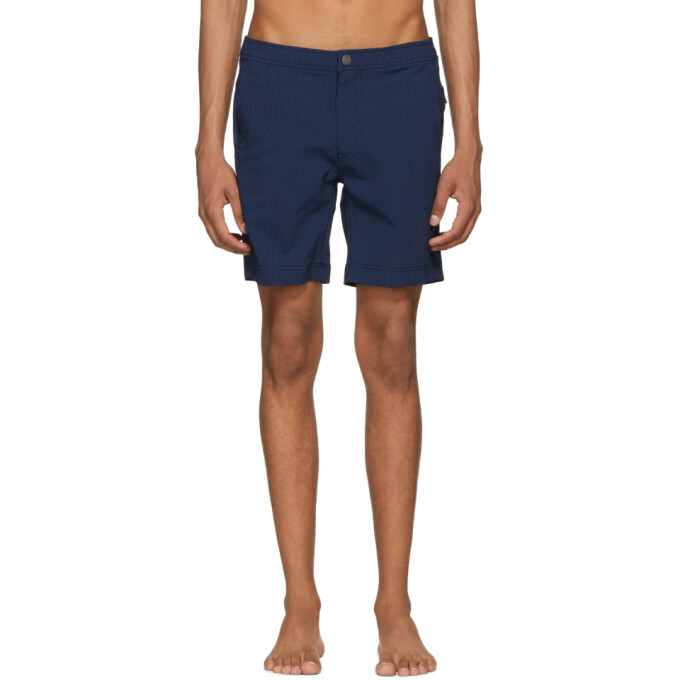 Stretch nylon shorts striped in tones of 'deep' navy and 'ensign' blue. Three-pocket styling. Concealed drawstring at waistband. Stretch mesh lining. Zip-fly. Gunmetal-tone hardware. Tonal stitching. 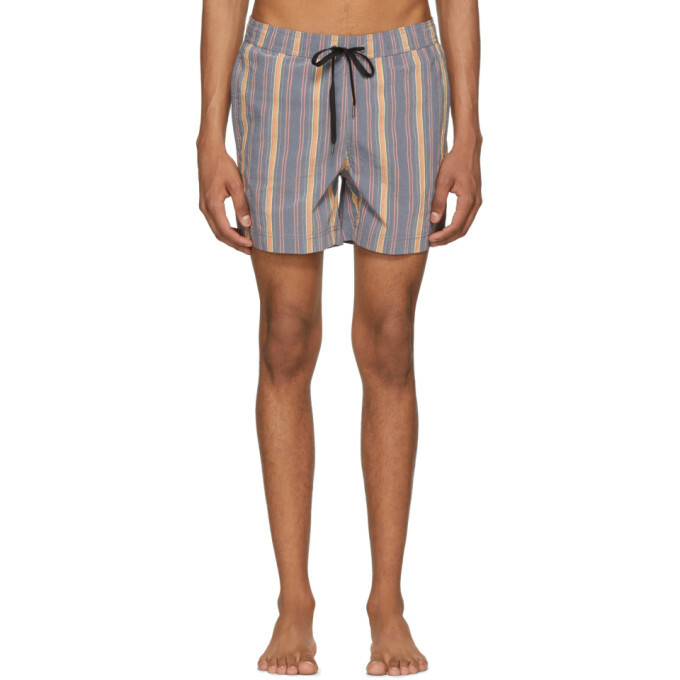 Stretch cotton and nylon-blend swim shorts striped in 'deep' navy, red, yellow, and orange. Mid-rise. Three-pocket styling. Black drawstring at elasticized waistband. Stretch mesh lining. Gunmetal-tone hardware. Tonal stitching. 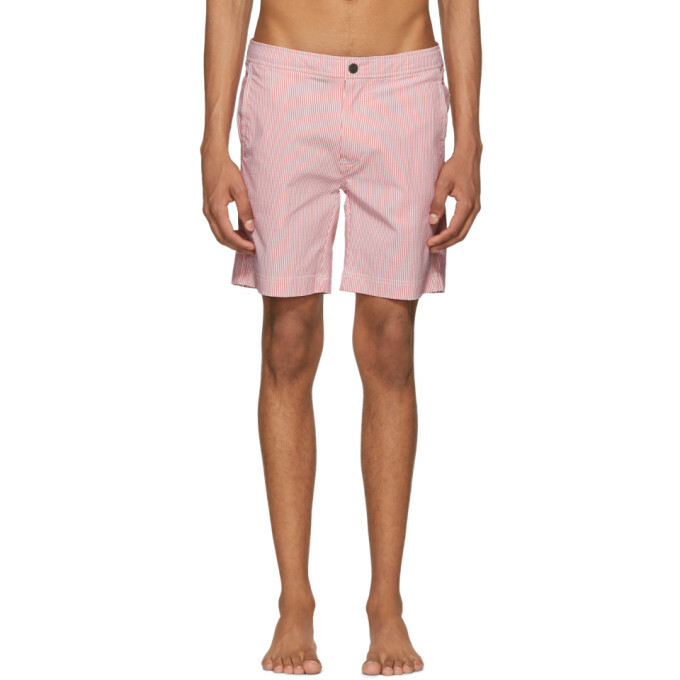 Stretch cotton and nylon-blend swim shorts striped in 'deep sage' green and 'tangerine' orange. Mid-rise. Three-pocket styling. White drawstring at elasticized waistband. Stretch mesh lining. Gunmetal-tone hardware. Tonal stitching. 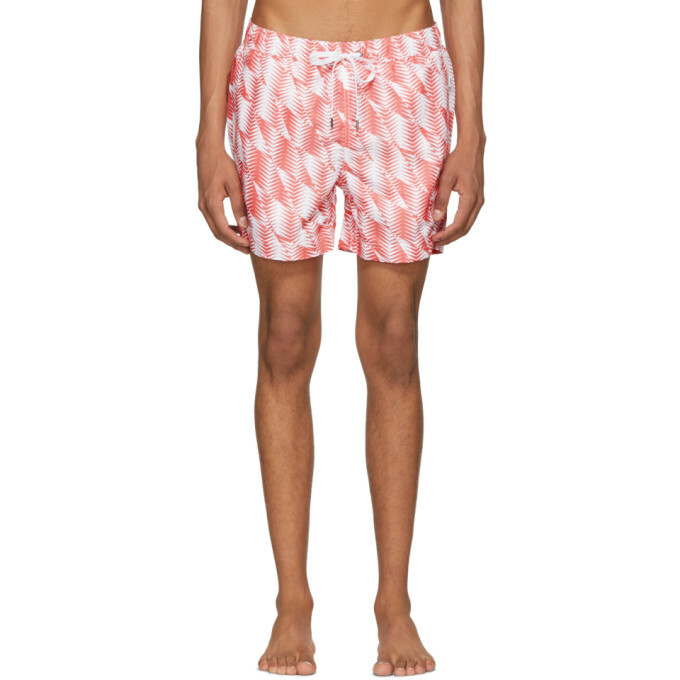 Technical satin swim shorts in white featuring graphic pattern printed in orange throughout. Mid-rise. Three-pocket styling. White drawstring at elasticized waistband. Stretch mesh lining. Gunmetal-tone hardware. Tonal stitching. 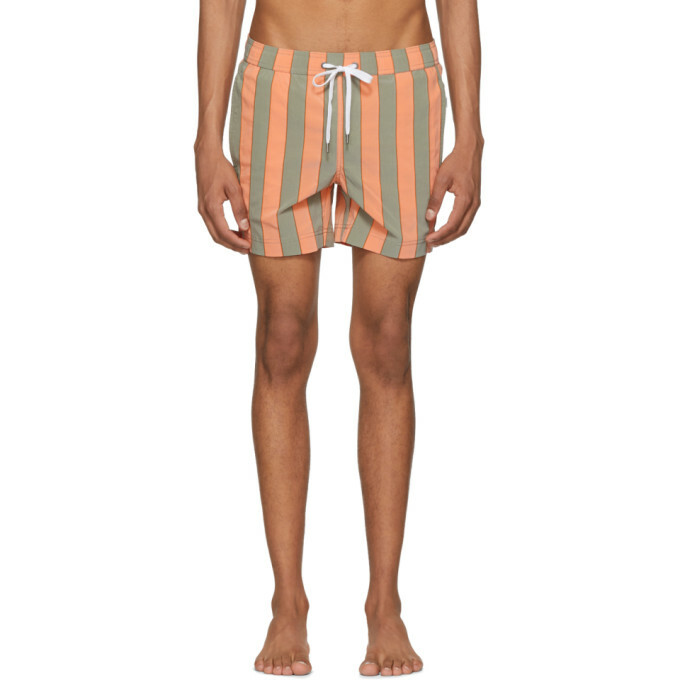 Stretch nylon swim shorts striped in 'tangerine' orange and white. Mid-rise. Three-pocket styling. Concealed drawstring at waistband. Stretch mesh lining. Zip-fly. Gunmetal-tone hardware. Tonal stitching. 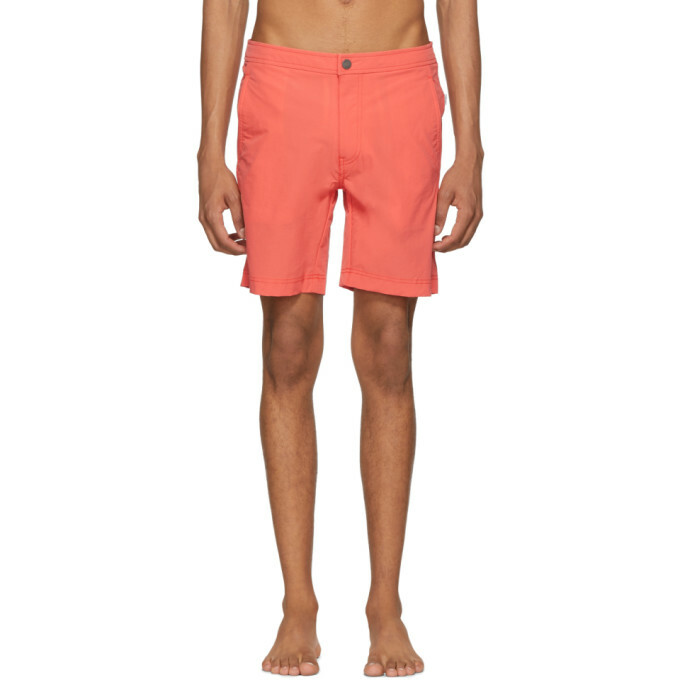 Stretch nylon swim shorts in 'tangerine' orange. Mid-rise. Three-pocket styling. Concealed drawstring at waistband. Stretch mesh lining. Zip-fly. Gunmetal-tone hardware. Tonal stitching. 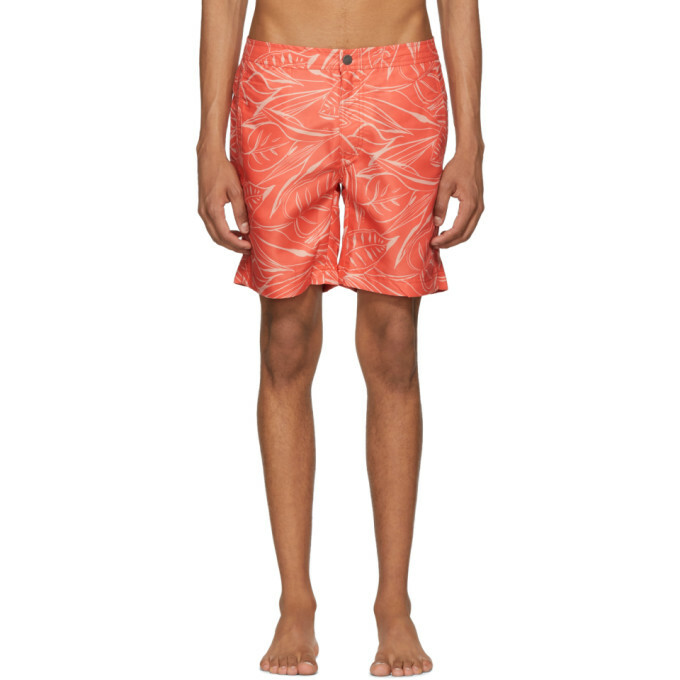 Technical satin shorts in 'tangerine' orange featuring graphic pattern printed in tones of beige throughout. Mid-rise. Three-pocket styling. White drawstring at elasticized waistband. Stretch mesh lining. Zip-fly. Gunmetal-tone hardware. Tonal stitching.